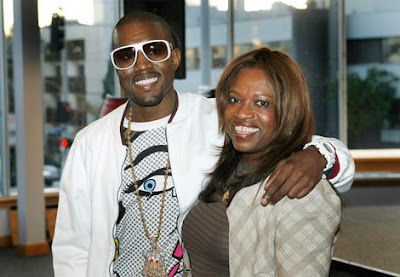 Just like most viewers and audience members, California Assemblywoman, Amina Carter was deeply moved by Kanye West’s performance at the 2008 Grammy Awards, when he performed “Hey Mama.” Unlike most viewers and audience members though, she has the power to do something that can potentially prevent fatal accidents like the one that occurred with Donda West. On February 22, Amina Carter proposed the “Donda West Law,” a preventative measure that would require prospective plastic surgery patients to receive clearance from a licensed doctor before undergoing any elective cosmetic procedures. Carter told the Associated Press that she began working on the law after one of Donda West’s nieces spoke with her about it. After the conversation she began working with the California Medical Association to construct the bill and make sure it met well with both legal and medical provisions. After drafting an official bill, she presented it last Friday to the rest of the California legislature. Governor Schwarzenegger has already signed two of Amina Carter’s bills into laws, so hopefully this is lucky number three. Just as a precautionary measure, you would think that this sort of thing would have already been a law. I’m sure that there have been plenty of other deaths that could have been avoided with a medical clearance, but it takes a “high profile” case like this one before anything gets done. Other states like New York, Illinois and Oklahoma are starting to draw up similar laws thanks to Carter. Let's pray this gets passed.